23 August 2018 – Houma, Louisiana-based towing operator becomes first company to roll out new Helm Operations software for crew management. 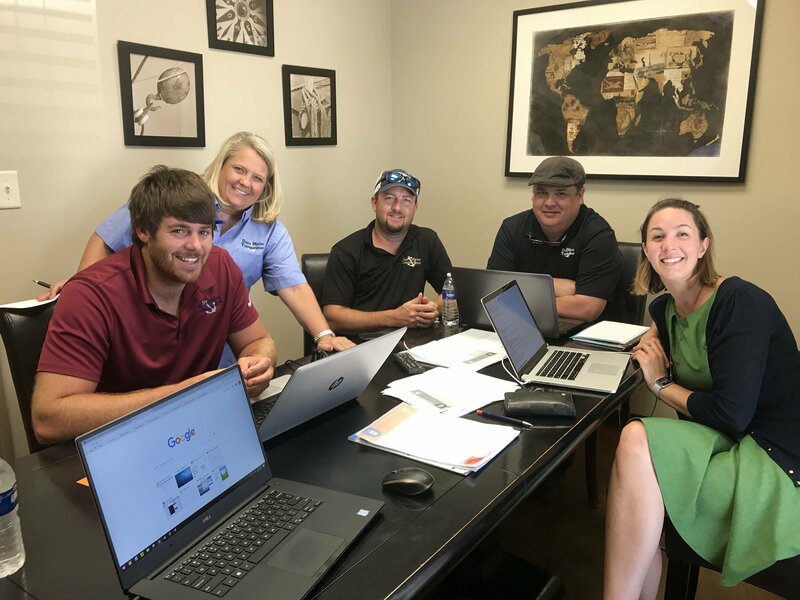 Leading marine software company Helm Operations announced today that Houma, LA-based Dupre Marine Transportation is the first company to go live with its newly-launched Helm CONNECT Personnel software for crew management and payroll. Dupre Marine is just one of several marine companies which have signed on for the new product since its launch in mid-June. Helm CONNECT Personnel is the latest addition to the Helm CONNECT platform, which covers all aspects of marine operations from vessel dispatch, chartering, and invoicing, to maintenance, compliance, and now personnel management, crew scheduling, and payroll. Today, nearly 3,000 vessels around the world use Helm CONNECT, making it the most widely used marine software platform in North America. Dupre Marine Transportation is a Houma, Louisiana-based tow boat operator specializing in petrochemical transportation. The seven-boat company is known for its cutting-edge approach to data digitalization and efficient vessel management using software systems. “While we often think of larger companies as the ones driving the pace of the industry, Dupre Marine Transportation is a really great example of how smaller fleet operators are taking advantage of new technology to implement efficient operations,” says Rachel Aylard, Helm’s Product Manager for Helm CONNECT Personnel, who has worked closely with Dupre over the past several years. An early adopter of the Helm CONNECT platform, Dupre Marine began with Helm CONNECT Maintenance and Compliance in 2016. “Our old system was difficult for our vessel staff to navigate, and we were still using paper for many of our forms and inspections. Since implementing Helm CONNECT, we’ve become a more efficient, better organized operator, and have improved communication with our vessels. We now have better insight into what’s happening on the boats and can easily see what’s being done and when it’s being done,” says Calvin Self, Operations Manager. When Helm CONNECT Personnel became available, Dupre saw it as a perfect fit to further streamline its business operations. “Instead of using Excel to manage crew changes, we can now see everything in one system, including who’s on which boat, who’s already scheduled to work, and who has a conflict. The transparency for the crew is also a huge win. Changes don’t get lost in emails and the crew can log into Helm CONNECT and see everything instantly,” says Self. According to Aylard, that’s exactly why her company released Helm CONNECT Personnel. “We built Helm CONNECT Personnel to help companies stay on top of their crew certifications and training requirements, spend less time managing the crewing on and off their vessels, and better communicate from shore to vessel in real time. Released in 2016, Helm CONNECT is one of the leading platforms for marine operations and vessel management, both globally and in the US. Since its launch less than two years ago, Helm CONNECT has quickly become the most widely used marine software platform in North America. Today, almost 3000 vessels around the world use Helm CONNECT, including 40 percent of the fleet of the American Waterways Operators (AWO), the US’s largest association of ship owners and operators. Dupre Marine Transportation is a family owned and operated tow boat company based out of Houma, Louisiana. Dupre Marine focuses on ultimate safety from vessels to barges to shoreside, superior customer service assuring professional towing of your cargo, and a company culture that requires the best of their team. They embrace the demands of the industry not only with superb performance and safety statistics, but with core company family values.